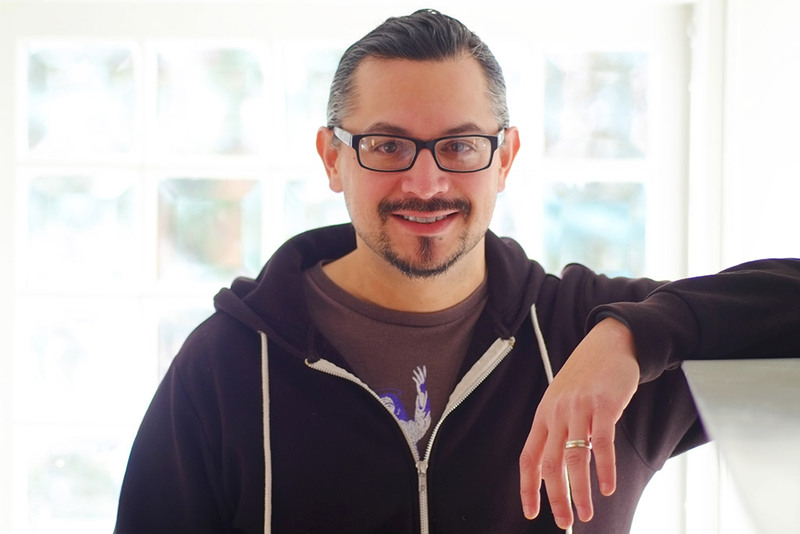 Alan N. Garcia joined the Ohno Design team as an artist/graphic designer in 2010 after a 17-year career in the fish wrap business designing feature and front pages, illustrations and informational graphics for three area newspapers. He studied on the job directly out of high school with Ohno founders Tammie Stimpfel and Michael Robb at The Bay City Times. He earned an associate’s degree from Delta College in journalism focusing on graphic design, and was a member of the award-winning newspaper staff there from 1993-95. Garcia won various Associated Press awards for information graphics and features while at The Times, and designed many of the memorable front pages there between 1995 and 2009. At Ohno, Garcia mans the tunes throughout the workday and attempts to be the Ohno class clown while maintaining a kidlike enthusiasm for new technology, design and creative ideas. As he is constantly seeking new visual stimulation to include in designs, Garcia’s influences include modern and vintage typography, graffiti, street art and tattoos, along with T-shirt and apparel design. I like how different every project is and constantly being challenged to come up with something new. I like coming to Ohno so much I can’t remember the last time I’ve even wanted a vacation, let alone took more than a single day off. How can you beat the way the team gels, along with the amazing meals and atmosphere of the studio? It’s everything a creative person could ask for. Besides that, I get to help our clients look good, and I get to design things that I can see around town. I also get to work with people I like to be with. I’ve been lucky in my career to have many opportunities to be creative, and for people to see the results of that creativity. Working with the Ohno team is the cherry on top of that. Independents Base Ball Club of Bay City, and am one of a handful of crazy grown males to have a Wiffle ball field in his backyard. I also paint, draw and continue traditional artwork. Believe it or not, this is only the second job I’ve ever had, and I’ve said that it will be my last. I think when I was a kid, I used to put the white lines down on baseball fields and was paid for it, but that was so long ago I think my dad’s name was on the check. Not many people can say they’re still working for and with the same people they were when they were on their first job. I’m passionate about multimedia design, including audio and video production, and new ways of distributing content online, and I keep up with the latest developments in new media. Did I mention I like baseball? I recall as a kid typesetting on an old Commodore 64 computer and doing pixel-by-pixel graphics using a joystick. I remember cutting out magazines and piecing the images and text into new layouts. It’s the same type of thing I did at the newspaper and continue to do today. We will make you look better. We won’t settle for something that we’re not happy with. We put everything into the projects we work on. There’s nothing better than working on a project that you’re proud to show off. We all bring such a unique talent to the team, but the overwhelming thing is we want it to be the absolute best. It has to be memorable, and we do everything we can to make it just that.